Want to get your family excited about eating breakfast? 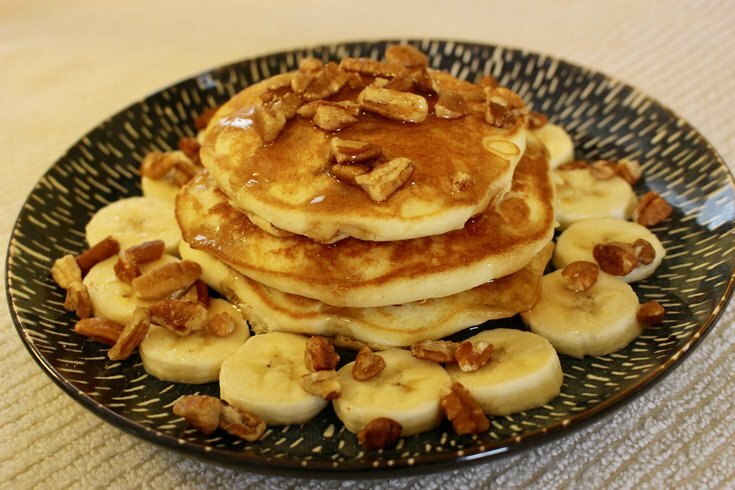 Start your morning with this hearty (but healthy) banana nut pancakes recipe from Independence LIVE's healthy cooking class. Not only does this delicious dish satisfy the palate, it’s also loaded with nutritional value. The banana provides you with a healthy dose of potassium and fiber, the flax seeds are a great source of omega-3 fatty acids, and the swapping of regular milk for almond milk will help cut down on calories. What’s not to love? Prep Time: 10 min. • Cook Time: 25 min. 2. Mix wet ingredients in 1 bowl and dry into another. Add wet to dry, stirring thoroughly. Pour by ¼ cup in skillet and cook 1-2 min. per side.